Near Sandown Castle (Deal): View south along seawall and beach at high tide. Note the relatively steep slope of the beach face that becomes much gentler north of Sandwich Bay Estate. 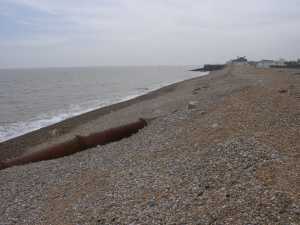 Near Sandown Castle (Deal): View north along the shingle bariier at high tide. 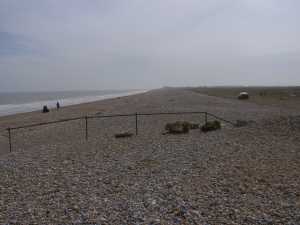 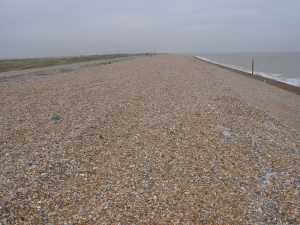 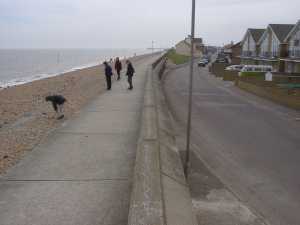 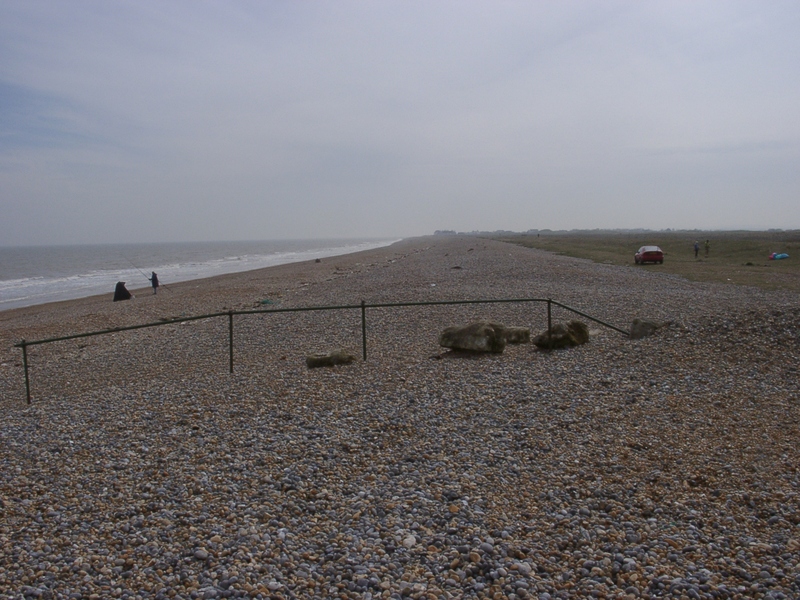 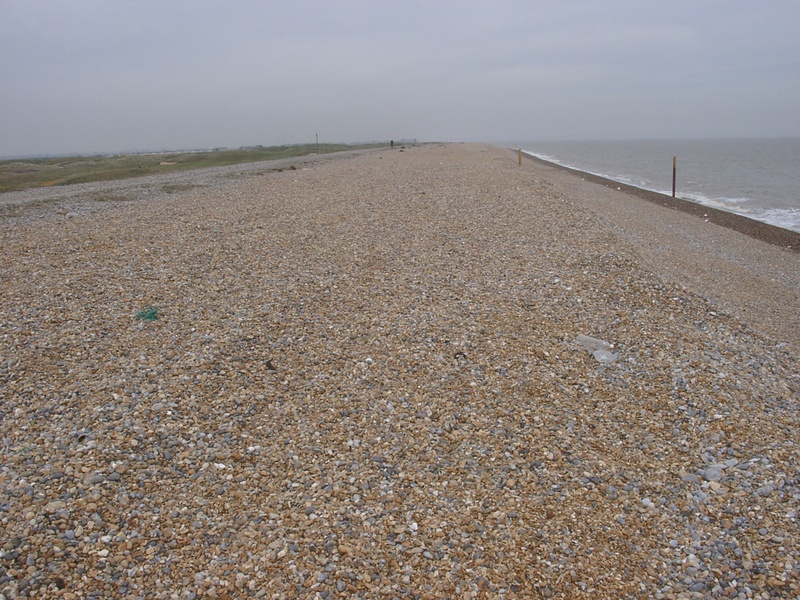 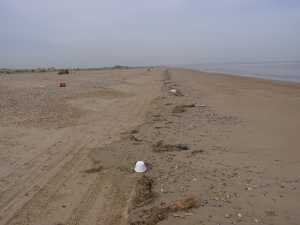 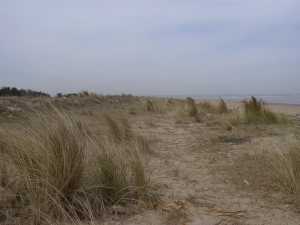 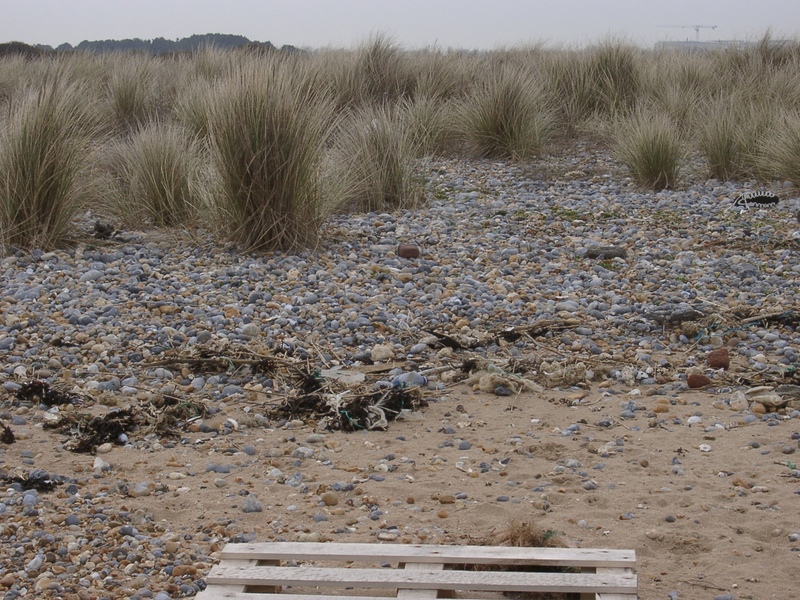 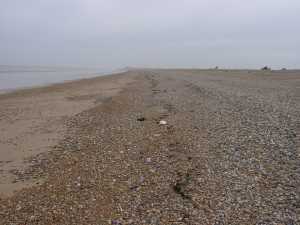 Shingle barrier has a core of block and the landward side contains land derived recharge material. 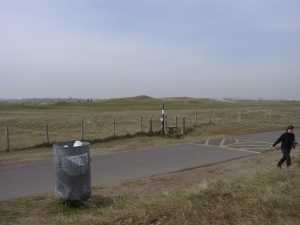 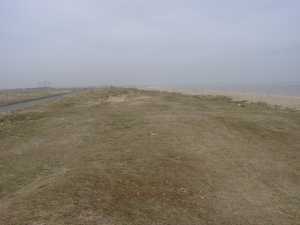 Near Sandown Castle (Deal): View west towards higher ground in the background. 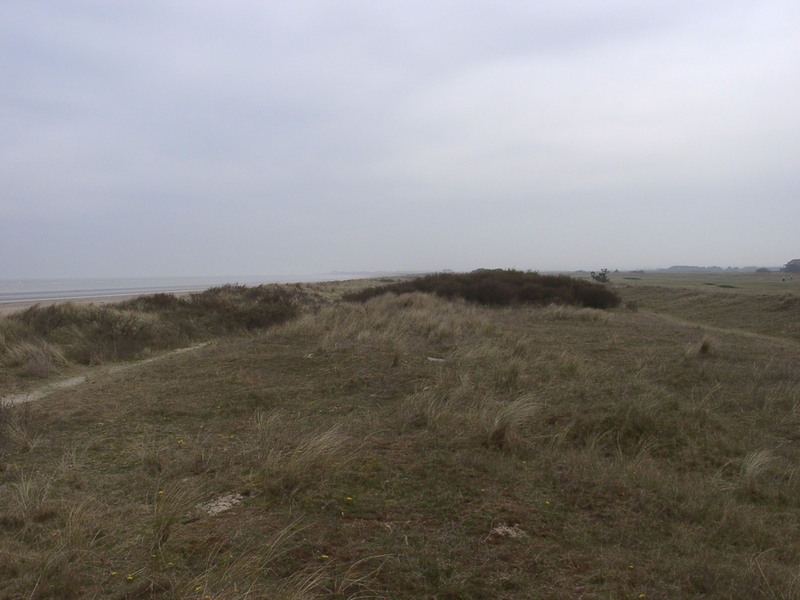 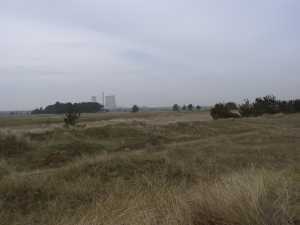 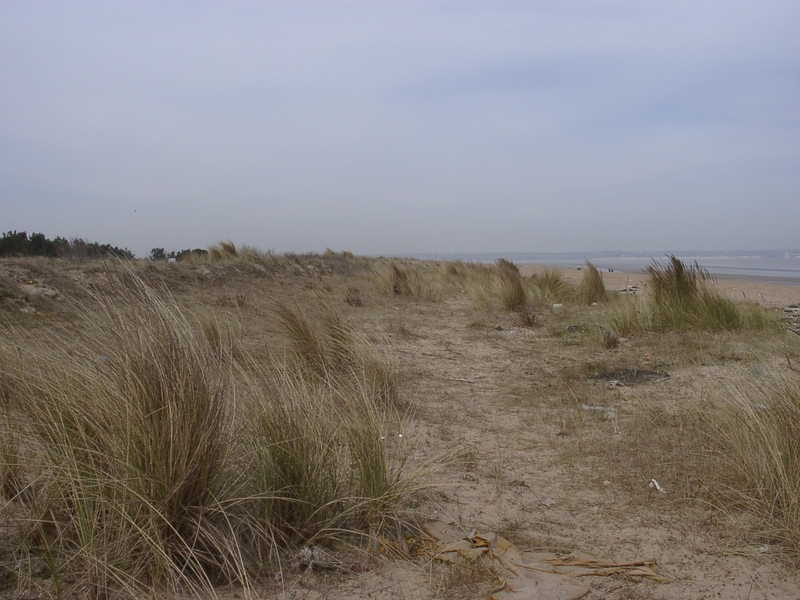 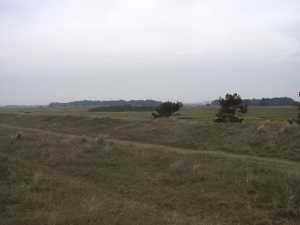 In the middle ground vegetated dunes as part of a golf course. 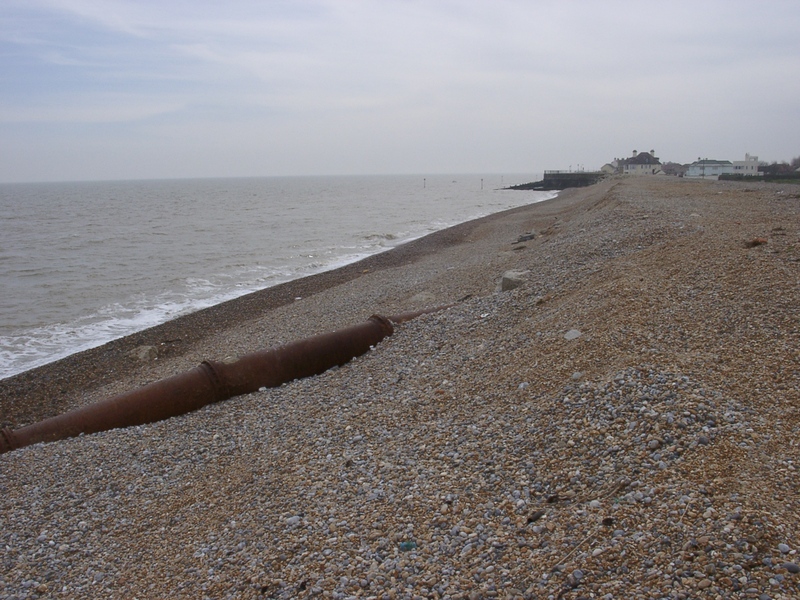 North of Sandown Castle (Deal): View south along shingle barrier with sewage outfall (?) 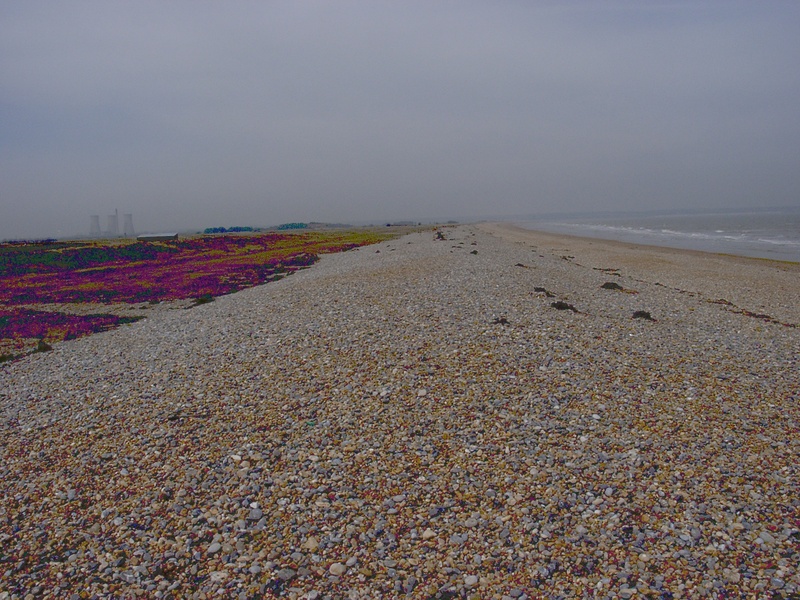 uncovered. 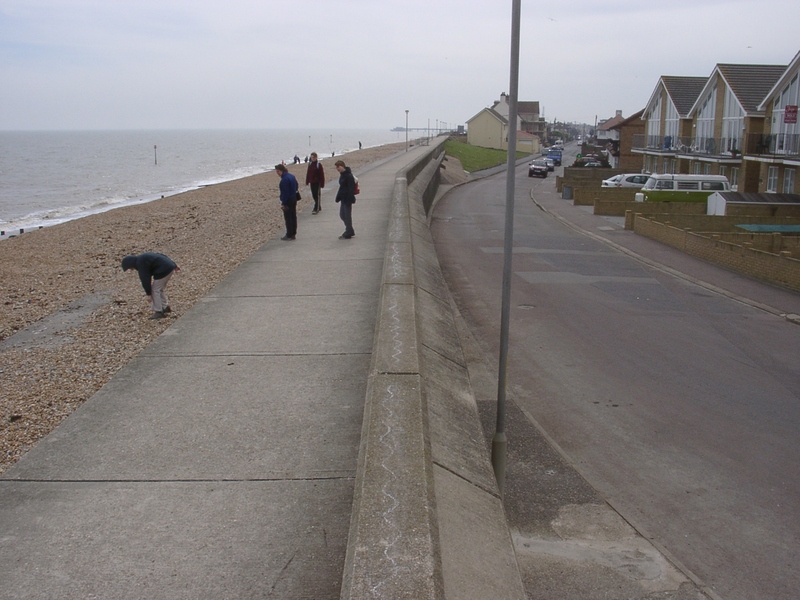 North of Sandown Castle (Deal): View north along shingle barrier which widens significantly over a couple of hundred metres (compare with near Sandown Castle). 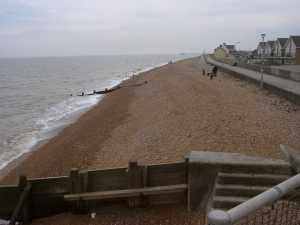 Near Sandown Castle (Deal): View south along sea wall showing relative position of shingle beach and housing at high tide. North of Sandwich Bay Estate (63600/158000) looking north: Vegetated low dune ridge between road and shingle ridge. 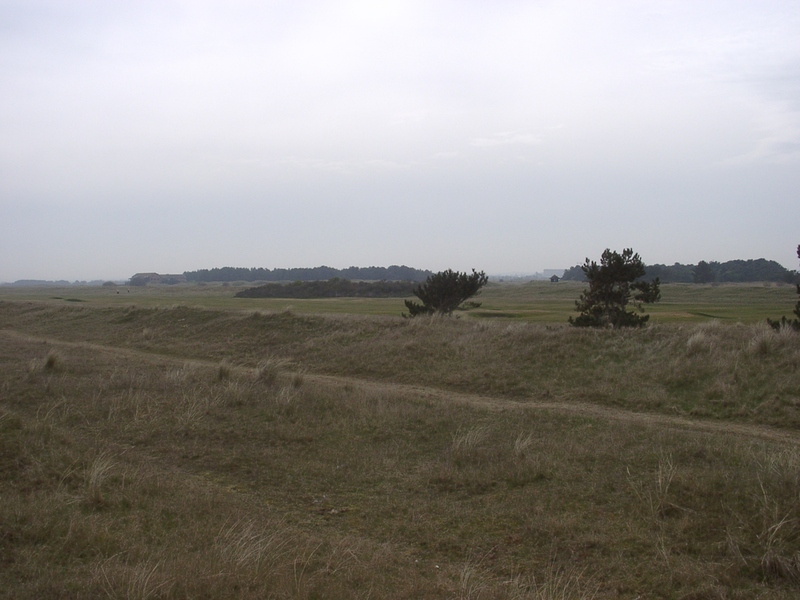 North of Sandwich Bay Estate (63600/158000) looking north: Vegetated higher dunes landward of the road within a golf course. 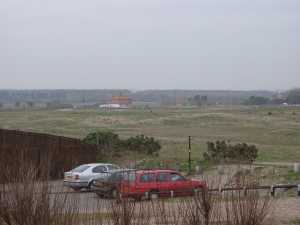 At car park north of Sandwich Bay Estate (63570/15920) looking north. 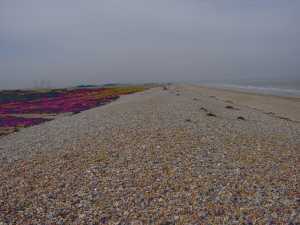 Broad shingle ridge. 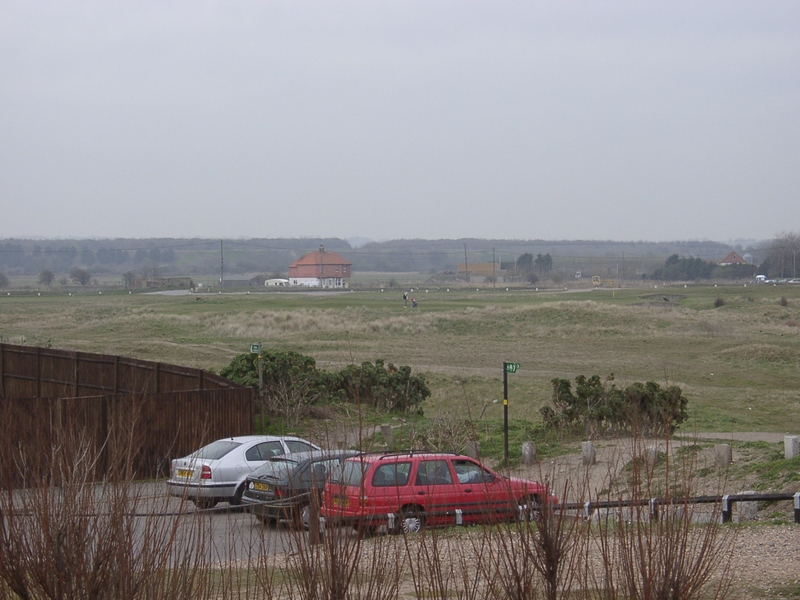 At car park north of Sandwich Bay Estate (63570/150920) looking south towards Sandwich bay Estate: Broad shingle ridge with almost an almost flat vegetated sand sheet behind. 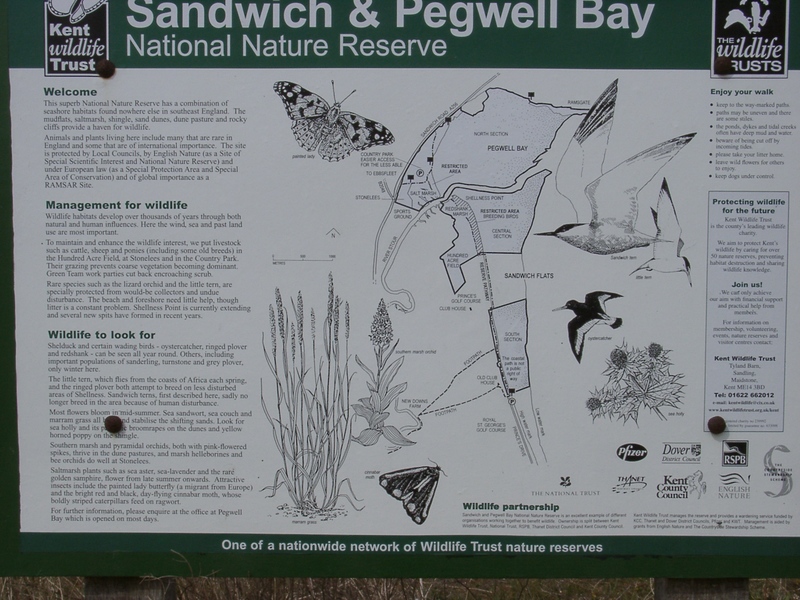 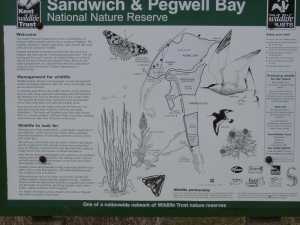 Sandwich Bay information panel at car park norh of Sandwich Bay Estate. 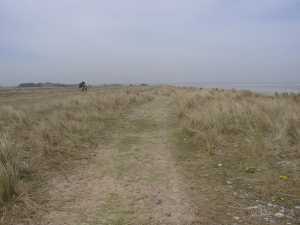 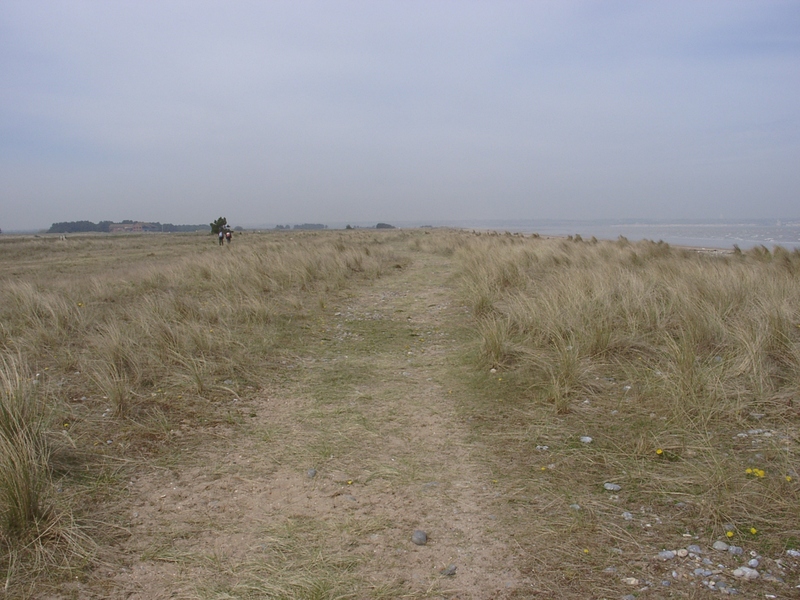 Path at ~635520/160000 showing very low, vegetated dune ridges behing the shingle beach. 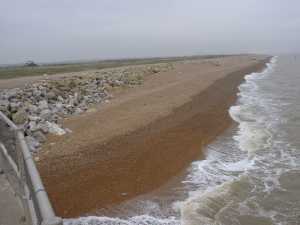 Storm berm at ~635520/160000 showing the increasing amount of sand on the beach surface, a very gentle slope of the shore face and and extensive sandy foreshore uncovering as the tide falls. 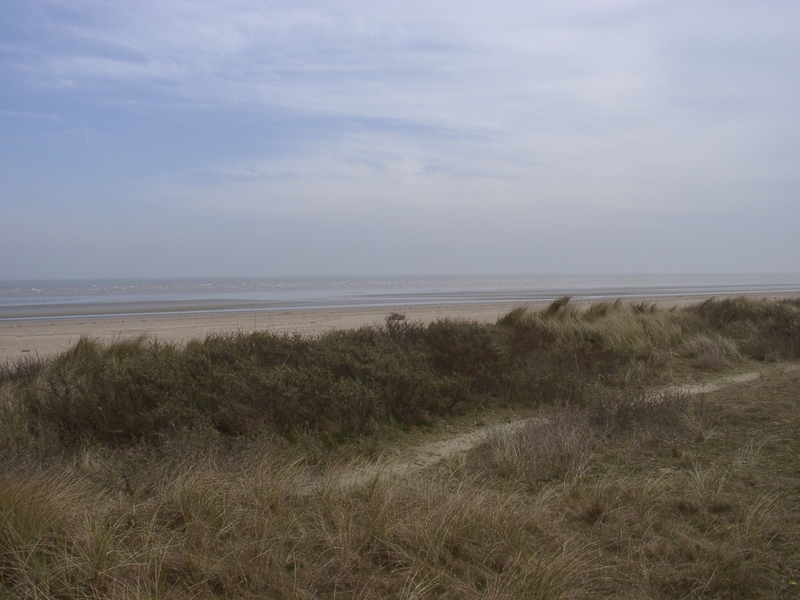 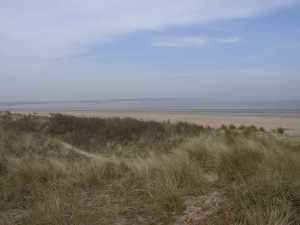 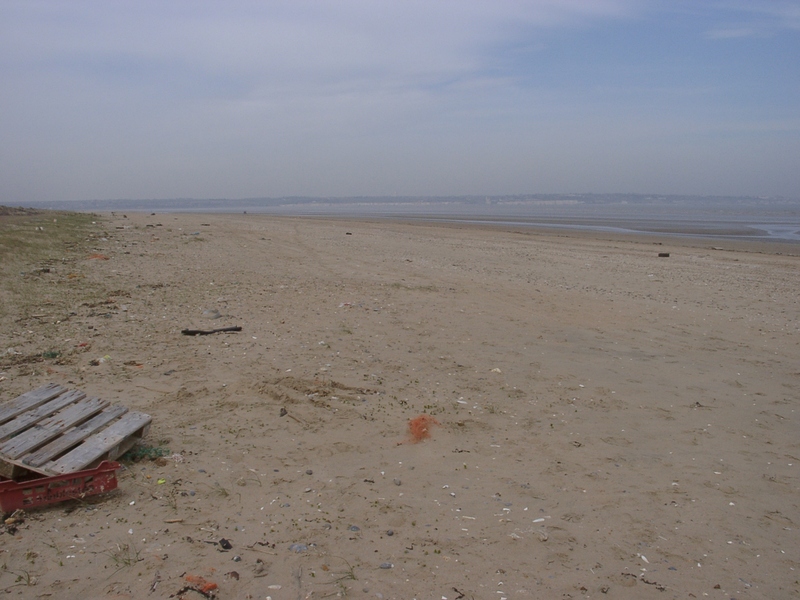 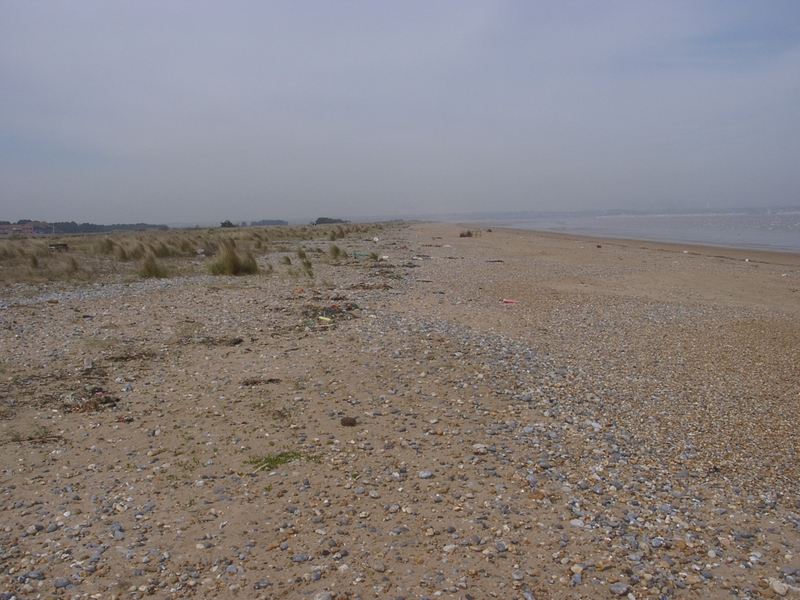 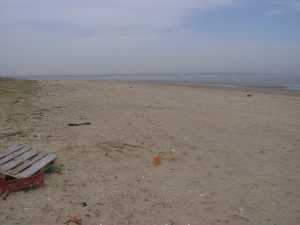 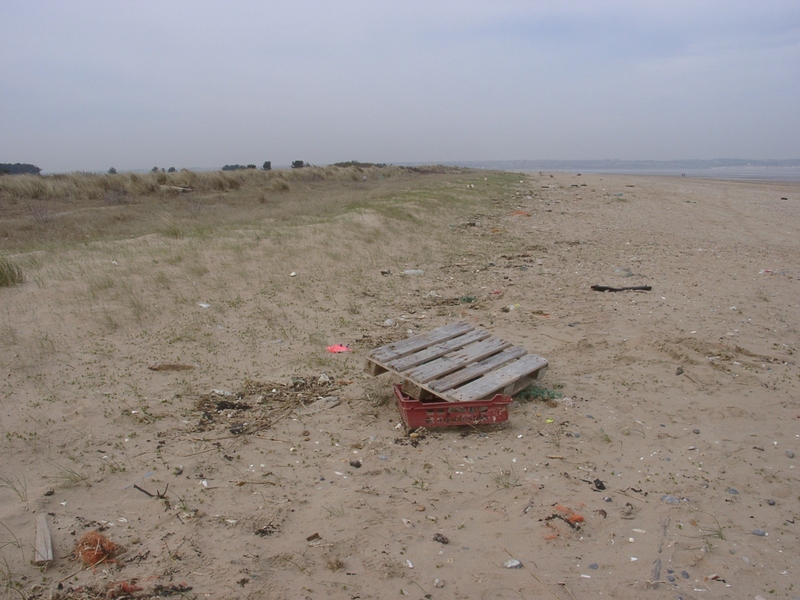 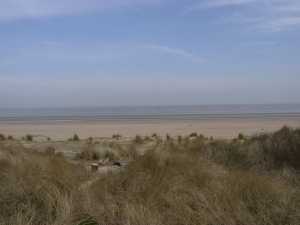 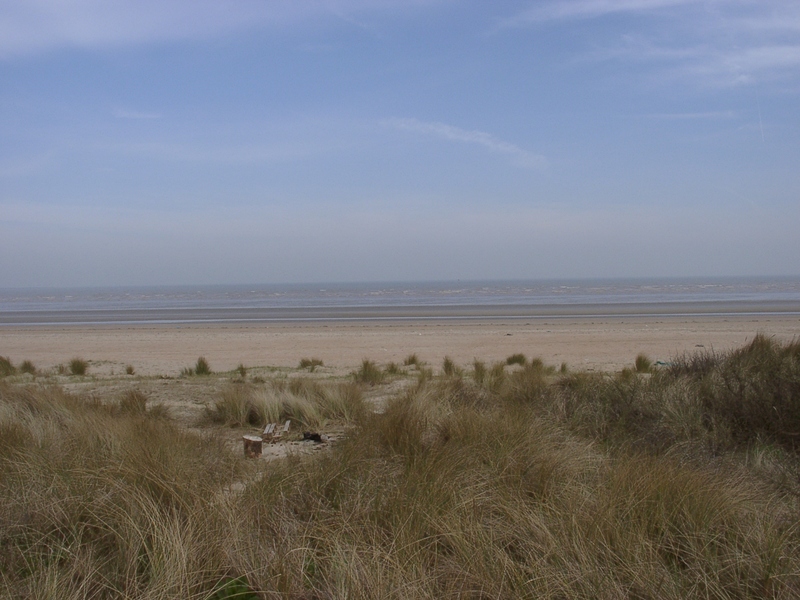 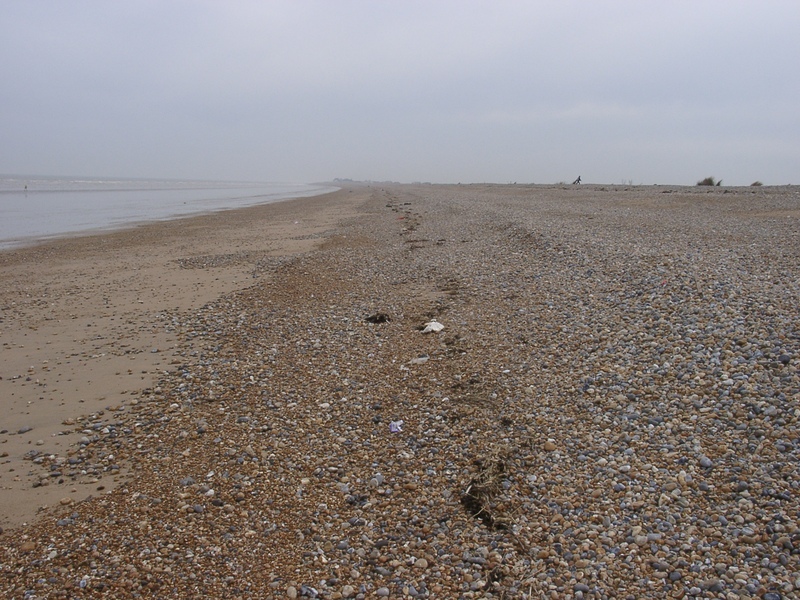 Strandline at ~635520/160000 showing beach cusps above and a very sandy surface below. 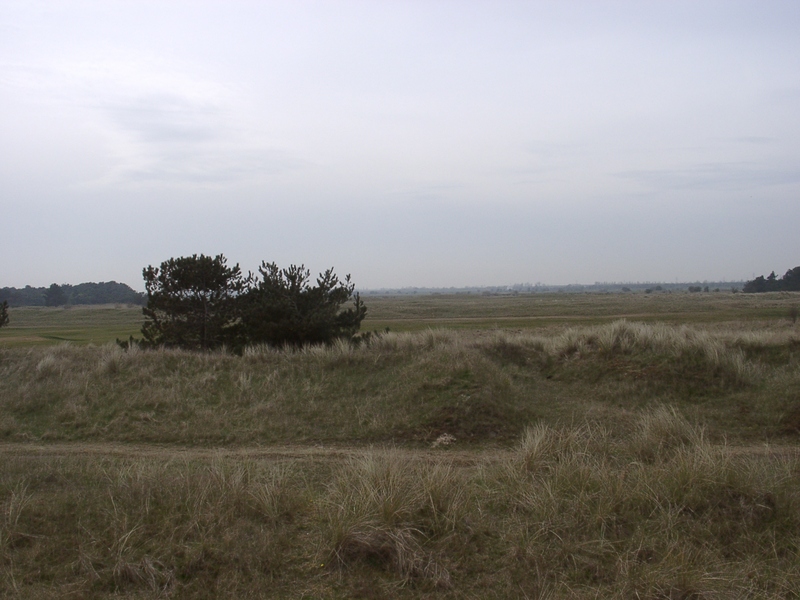 At ~635420/160450 looking north showing a partly eroded dune ridge in the background and decrease in vegetation cover towards the sea. 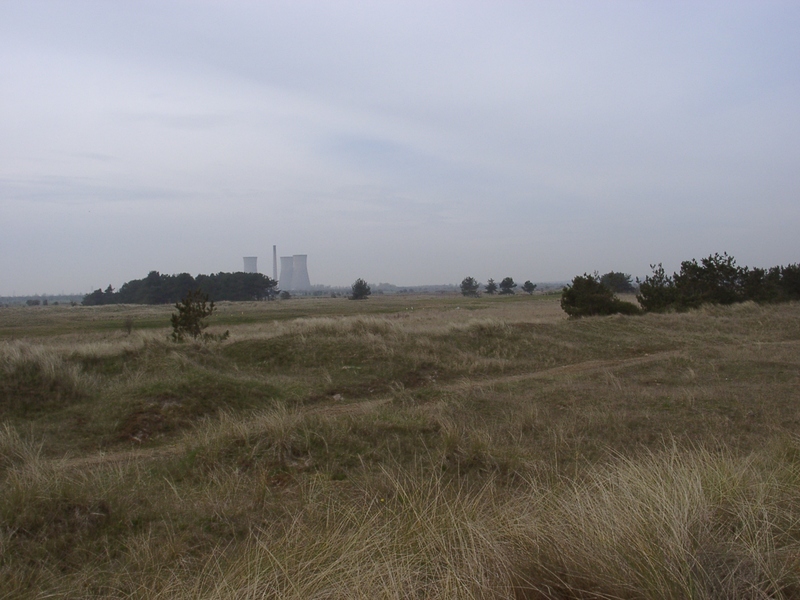 At ~635420/160450 looking north west towards the disused power station showing a series of stabilised dune ridges. 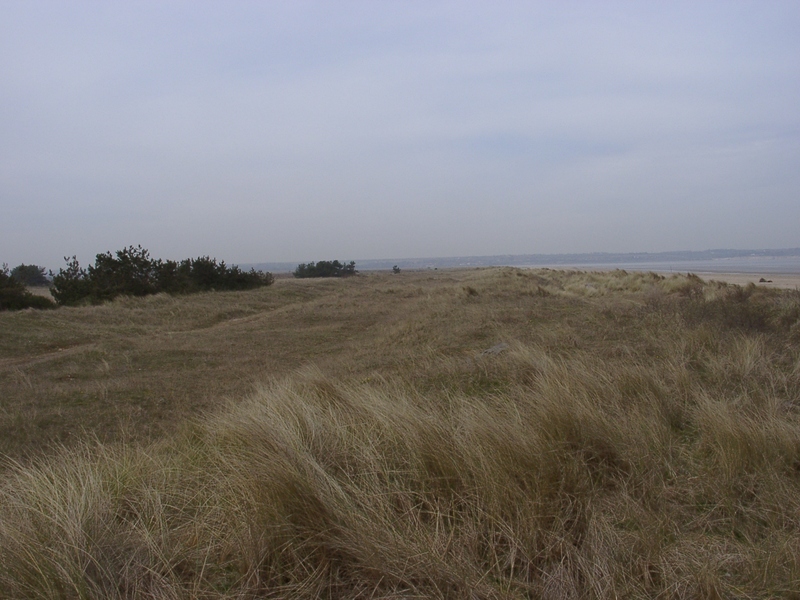 At ~635360/161000 looking north showing recent accretion of a dune ridge. At ~635360/161000 looking north showing beach surface almost completely covered by sand. Panorama 01 (north) at 635270/161250. 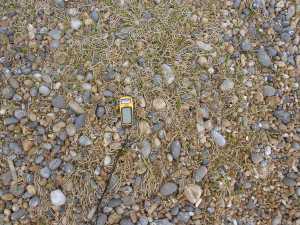 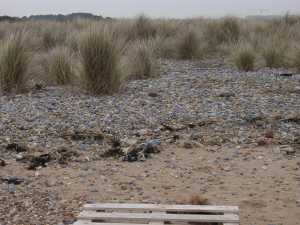 Upper beach at ~635550/160080 showing marram grass amongst the shingle wash-over deposit. 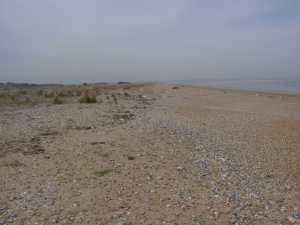 Beach at ~635550/160080 looking south showing transistion between upper shingle ridge and lower sandy foreshore. 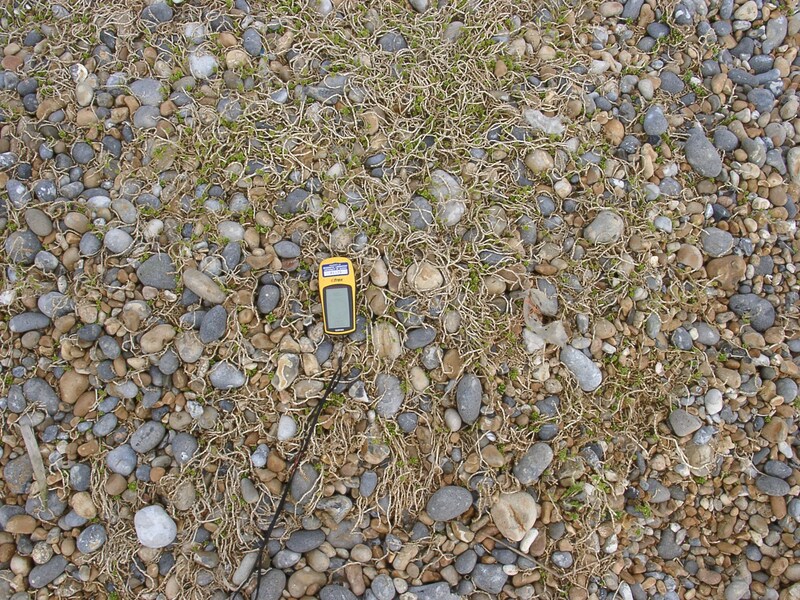 Vegetation on the shingle ridge beach at ~635550/160080. 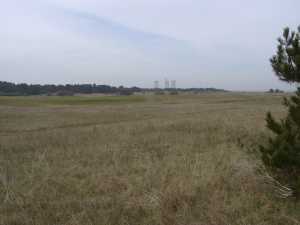 Panorama of 360� at 635270/161250.